The Defense and Security Council of Montenegro has sent at least 40 members of its Armed Forces of Montenegro to Kosovo and Afghanistan as part of NATO ‘peacekeeping’ missions, participating with the possibility of rotation. The Montenegrin Army first sent a contingent to Afghanistan in March 2010, with the country becoming the 44th non-NATO state to contribute to the International Security Assistance Force (ISAF) mission. Montenegro currently participates in the EU's Operation Atalanta in the territorial waters of Somalia, and one Montenegro officer is taking part in the EU Training Mission in Mali. Over the years, the Armed Forces of Montenegro have seen no losses in Afghanistan. When Taliban militants attacked a Hungarian contingent convoy in 2010, of which Montenegro troops were a part, three Hungarian soldiers were injured and one was killed, but the Montenegrin officer escaped unharmed. In 2011, a 40-year-old Montenegrin officer died of a heart attack, despite regularly passing his health examinations. Finally, in December 2017, one Montenegrin servicemen in Afghanistan was promoted for saving the life of a soldier from a Mongolian contingent. In 2009, the Montenegrin political opposition voted against sending troops to Afghanistan, saying they didn't believe the troops would participate in low-risk missions. Echoing those claims, Bosko Vukicevic, a social activist and leader of the movement Freedom to the People, told Sputnik that Montenegrin soldiers are in fact facing big risks. "Nobody understands what exactly Montenegro troops are doing in Afghanistan. But it's obvious that they don't represent the interests of local residents worn-out by war. They are under command of western forces that invaded the country." Vukicevic said. "They send our boys to perform crazy missions, in countries where they are not welcome, and put them at risk, taking into account that gruesome terrorist acts occur in the country more and more often. And the responsibility for every casualty will lie on the government." Montenegrin political analyst Igor Damjanovic noted that even before Montenegro joined NATO, he had warned that Montenegrin soldiers would be required to participate in NATO missions around the globe. "This is useless for our country. Sending troops to Afghanistan doesn't only mean risking their lives, it means risking the whole population of Montenegro, because if in the future terrorists decide to pay back on Europe's territory, Montenegro may become one of their targets," Damjanovic said. "Besides, let's not forget that NATO's activity elsewhere — besides on the territory of member states — represents typical military aggression and participating in those missions casts a shadow on our country," he said. 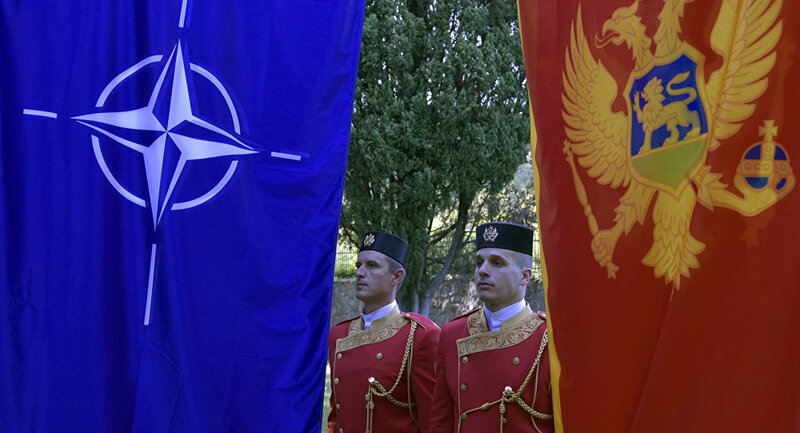 The new deployment is not the first time Montenegro troops have been sent to Afghanistan, but it is the first as part of a NATO mission, and the first one to Kosovo, whose independence Podgorica recognized in October 2008. By doing this, it stabbed Serbia in the back, according to government officials in Belgrade. Vukicevic said that now it is pushing the knife even deeper. "You can call it national self-humiliation and prolonging what was started by a disgraceful decision to recognize Kosovo independence. Of course, sending two officers to Kosovo is more of a nominal step, but they will be there under NATO's command, not as liberators of our country they once were," the analyst told Sputnik, pointing to the events during the liberation wars of 1912-1918, when the Army of the Kingdom of Montenegro fought for the liberation of Kosovar cities Pec and Djakovica from Ottoman occupiers. Kosovo’s Plan B: If Not Accepted Into EU, Join Albania?